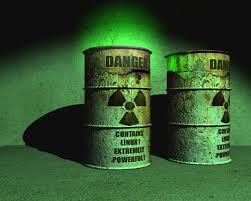 You find a dark place with warning signs or a rusted barrel with a bio-hazard label, you know what to do. Run, in the opposite direction, because that is some nasty crap that will cause you irreversible harm. Simple, right? The very image ignites a fight or flight reflex in your lizard brain and off you go. So why do we ignore a toxic person, a relationship, or worse yet, we make excuses for the human environmental hazard these people leave in their wake? Back when we were kids, (OK, that may be a bit longer for me than some of you) remember that one bully, or mean girl who spread their vicious, petty web of hate and torment like a bad yeast infection? They were the social black cloud and trouble followed wherever they went. That’s not to say they weren’t popular. They had their followers, the minions who fawned over every acidic word, out of fear that they would become the next target. The negativity, fear-mongering and the first seeds of moral corruption started early with these juvenile predators. Some people never grow out of the mean-spirirted, toxic behavior patterns. Self-centered, bitter and unconcerned about the impact of their behavior on others. They find some soapbox to climb on and spew discontent. They become bureaucrats, politicians and other sorts of professional meddlers. What baffles me, is the dark little imp will be the first one to cry “foul” when someone calls them on their destructive B.S. You see them all the time, they’re like an honest to God version of The Walking Dead, sucking the life out of a room when they slither in. This kind of toxicity is highly contagious. Avoid them! Cast a pox on their houses and stay away. If I’d looked for the signs, they were there. I don’t intend to invest in a closet full of biohazard suits, so the path of “best resistance” is stay outside the killing zone and let them stew in their own juices. Negativity, – who has time for that? Excellent article. It is important for victims to know that they can never make a difference to these people. But also by trying to make a difference we are not just sitting back and accepting it how it is. What goes around, comes around as the saying goes! Well said Emma. We can make a difference by not fueling the negative currents that swirl around these people. Thanks for taking the time to post a comment here. Always appreciated. Have you also noticed the mind games they play from their “miserable Purgatory of an existence” (just had to re-use that great phrase!). The toxic mess they ooze is always somehow about the other person. They never take responsibility. So, yes, I’m with you on the stepping away (and if they don’t get the hint, I might join you in casting a pox or two). I finally realized that I only have so much time and energy and I shouldn’t waste it all on responding to these psychic vampires. I think I’m gonna have to read up on my pox casting. Thanks Diane. If I’m on the road and end up following an 18 wheeler with a bio hazard sign, I either go around them real fast or back up and put lots of distance between us. I do the same thing when I follow trucks carrying pipe. I know these damn things will fly off and come crashing through the windshield. Out of college, I worked for a large truck company for a few years. We had one truck lose its trailer and the new Cadi behind it was totaled but the driver was fortunate that he escaped without serious injury. My boss was in charge of maintenance for 5,000 truck and he said too many things can fall of trucks. He never followed them. I totally understand what you are talking about here but I believe that sometimes some of us surrounding the offender have a hand in creating that person. When we engage and give them attention, we are in fact fuelling the fire. I am in no way condoning their behaviour, merely trying to understand it. It is not always easy to completely cut toxic people from our lives, especially when they are family. It’s best to not to fall into their trap, change the subject or walk away. I find they do eventually learn that you won’t get sucked into their drama. Great post! Appropriate post considering the times we live it! 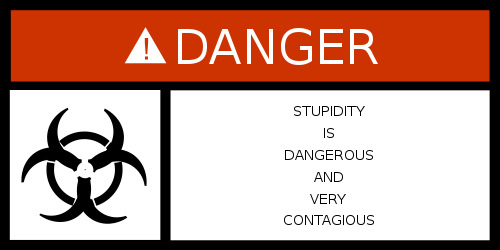 It would be great if toxic people had to wear toxic signs so that we could avoid them. I’m thinking of a few politicians who might be covered in them! Politicians would look like nascar drivers with all the signs plastered to their behinds. I like that. A law that requires anyone running for office and all elected representatives to wear uniforms with all the logos and.or names of all their corporate/oligarch contributors plasters all over them. If there isn’t enough room, tattoo their faces with the biggest contributes logos and/or names. That way the voters would know who they were really voting for.